The Vampire Diaries Season 5 Poster. . HD Wallpaper and background images in the The Vampire Diaries TV ipakita club tagged: photo the vampire diaries season 5 poster. 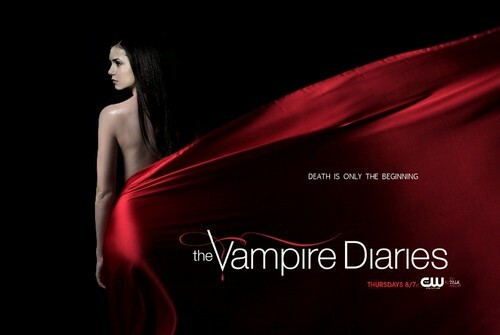 This The Vampire Diaries TV ipakita photo might contain hapunan dress, hapunan gown, pormal, gabi toga, cocktail dress, and upak.